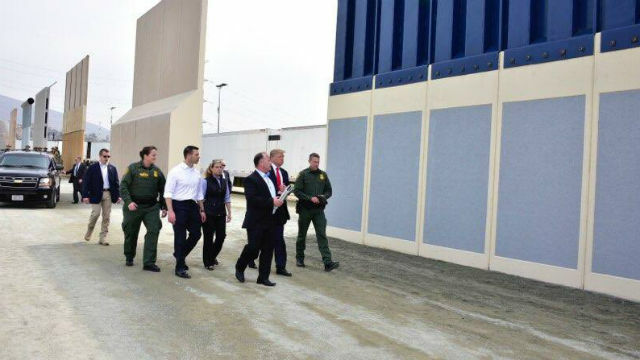 Making the first trip of his administration to California, President Donald Trump traveled to Otay Mesa Tuesday to view prototypes of his proposed border wall, saying after the tour he prefers a barrier that allows law enforcement to see through into Mexico. 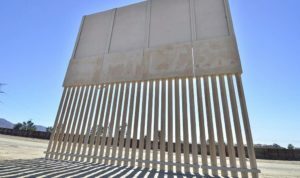 Trump spent about an hour viewing the eight 30-foot-high samples that were built to offer an array of options for the wall Trump has promised to erect along the U.S.-Mexico border. 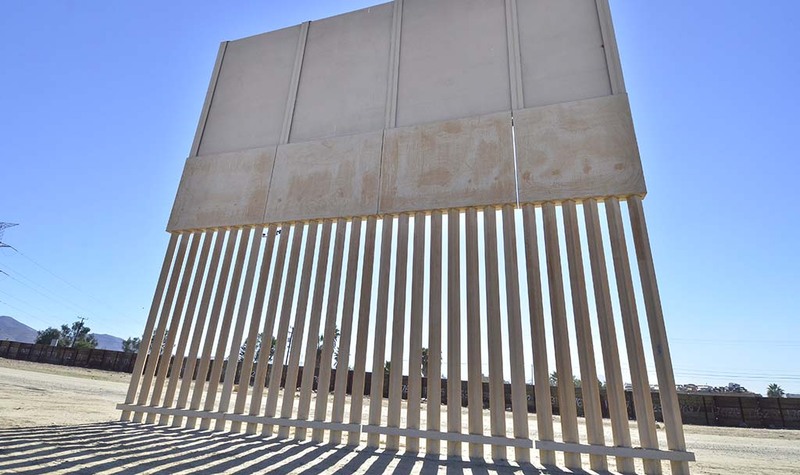 Some are solid concrete, while others are made from a blend of materials including metal slats — which Trump said would be the best choice to secure the country’s southern border. In response to Trump’s wall visit, Bishop Robert McElroy of the San Diego Roman Catholic diocese said: “It is a sad day for our country when we trade the majestic, hope-filled symbolism of the Statue of Liberty for an ineffective and grotesque wall which both displays and inflames the ethnic and cultural divisions that have long been the underside of our national history. The largest planned anti-Trump protest was held at Catholic church that offers a full view of the nearby border. The event was organized in part by the ACLU of San Diego and Imperial Counties.